Brand Dielectrics prides itself on superior Value-Added services. From spooling and coiling of any length to custom cut (to length) pieces, everything is done in our state-of-the-art facility under ISO9001:2000 quality standards. Small volume, high volume, tight tolerances; BD can do it all. Spools and coils can be marked with your specific label requirements. Cut pieces can be bagged per your specifications. 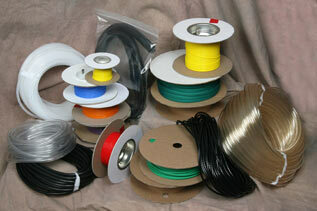 If you have specific requirements give us your spool dimensions and the amount on each spool. Brand Dielectrics can also slit down the length of certain tubings, create bar codes and offer JIT services from our large inventory. Copyright© 2012 Brand Dielectrics Inc. All rights reserved.